The 88 sqm 2-bedroom Family Suite at Novotel Phuket Surin offers plenty of space for up to 6 people. 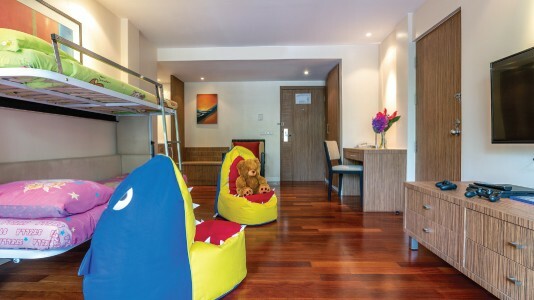 Dive into the comfort of your bed in the master bedroom, while kids enjoy watching a DVD in their own room with twin beds at this Phuket Family Resort. The spacious separate living area with convertible sofa bed provides an additional ample sleeping space to accommodate a large family or group of friends. Each room is equipped with LCD TV and DVD player (DVD player on request). Stay connected during your stay with complimentary Wi-Fi access. Enjoy the comfort of your room with coffee and tea-making facilities and a mini-bar stocked on request. Interconnecting rooms are available. 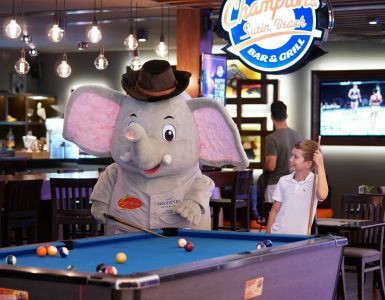 Up to 4 adults and 2 children under 16 years old or 2 adults and 4 children under 16 years old.